It is his fault that he did not deliver on his promise of ‘minimum government, maximum governance’. In the past four years his chief ministers have interfered even in the eating habits of people, and in the name of our sacred cows, killed off millions of jobs. It happens that I was listening awestruck in Congress Hall in Davos to the Vice-President of China when news came that Priyanka Gandhi had officially entered politics. Awestruck because Wang Qishan’s rollcall of China’s 5,000-year-old history and the details he gave of its ambitious present and future plans made me feel India was a minor, inconsequential country foolishly hoping to compete. The news that our oldest political party was offering yet another member of the Imperial Dynasty as a solution to India’s problems made me feel gloomier still. After the Chinese leader’s session ended, I found myself standing on a freezing promenade among an eminent group of Indians. There were businessmen, politicians and political pundits all trying to avoid freezing to death as India Today’s Rahul Kanwal asked if we thought this was ‘a gamechanger’. Would this ‘Brahmaastra’ (his words) end all chances of Narendra Modi winning a second term. I said the timing of Priyanka’s political debut would harm her brother more than Modi. Rahul Gandhi has just won his first three elections, having fought and lost more than 30, so he is finally being seen as a leader. And not just a bumbling heir. Is this the time for his sister to come in as number two on the board of the family firm? She is more charismatic, her Hindi is excellent, she has a natural connect with ordinary people and is lucky enough to resemble her grandmother. I am no fan of Indira Gandhi but have to concede that millions of Indians remember her as one of India’s greatest prime ministers. It is not the Emergency they remember, but what they believe was her great love for the poorest Indians. She did not do much to lift them out of their horrendous poverty but they believe she tried. My problem with the advent of Indira Gandhi’s granddaughter as the great new hope is that I despise dynastic democracy. I believe it stunts political leaders and democratic institutions. We in the media are ridiculously overawed by the Imperial Dynasty. Journalists who show great courage in attacking Modi for diminishing institutions remained silent when Sonia Gandhi diminished the office of the Prime Minister. The Gandhis are India’s royal family so we kowtow. Priyanka’s husband has been put through the wringer for his shady business deals but she has always remained above reproach. Rahul has sometimes beentreated as a joke but not of late. Sonia Gandhi’s status is between Mother India and Mother Teresa. She brought the Congress party to its lowest point in 2014 and remained above censure. Narendra Modi cannot escape blame for having revived the fortunes of the Dynasty. It is not his fault that he inherited an economy that Sonia Gandhi had severely damaged by economic policies that brought the licence raj back slyly on ‘environmental’ grounds. It is not his fault that taxpayers’ money was wasted on huge, leaky welfare schemes while crony capitalism was encouraged in the name of socialism. It is his fault that he did not bring the change he promised. It is his fault that instead of taking the new economic direction he promised he spent four years digitising schemes that should have been scrapped. It is his fault that he continued to pour money into schemes like MNREGA when it would have been better spent on creating real jobs in rural India. It is unsurprising that recent polls indicate that he will not win anywhere near a full majority again. But, what will India get instead? More democratic feudalism. 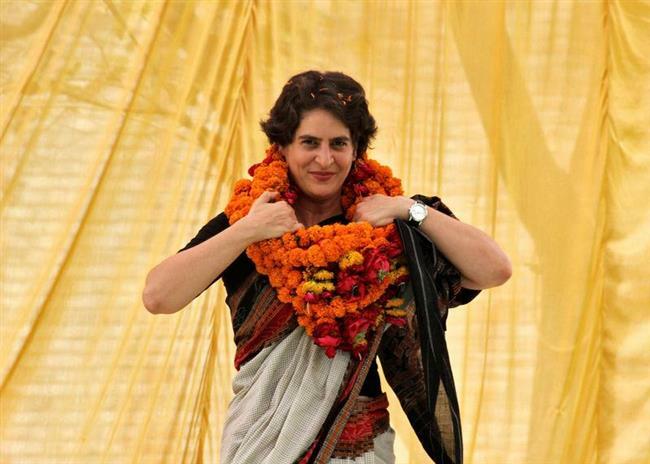 Nearly every young MP in the Congress party is the progeny of a political parent and the message that Priyanka’s political debut sends is that we will get more of the same. Her brother has already indicated that he despises the private sector and wants to return to the ‘socialism’ that his grandmother always espoused. His sister’s political and economic ideas are unknown but unlikely to be different to those of her family. So to me what becomes gloomily clear is that India better forget about catching up with China. That country’s leaders discovered long ago that free markets were the way to building a strong economy. There may not be democracy in China but the question we need to ask is if there is real democracy in India. It is great that we have regular elections but not so great that we have closed the democratic process to those who do not come from political families. Modi could have changed all this. It is a shame he failed.